If you’ve ever rented a car, you probably know that most rental company charge a toll administrative fee. Most rental companies have to clearly disclose that fee/policy, so it’s not a scam. Still, it doesn’t change the fact that the fee is a ripoff. As more states adopt electronic/cashless tolls, it gets harder to avoid this unnecessary administrative charge. Under the e-Toll program, once you pass through an electronic toll, you will pay a convenience fee of $3.95 for each day of the entire rental period, including any days on which e-Toll is not used, up to a maximum of $19.75 per rental month, plus incurred tolls at the maximum prevailing rates posted by the toll authority. You can avoid the convenience fee and any other charges by paying the toll in cash, using your electronic toll device, or avoiding any cashless toll road or passage. Please be aware of roads that maybe “cashless tolls” and drivers on these roads are not able to pay cash once they have entered these roads. In other words, Avis charges $3.95 for each day of the ENTIRE rental period once you use their transponder, up to $19.75. Even if you do not use their service on some days. Was I Able to Avoid The Administrative Fee? I thought I give it a shot on my most recent trip to see if I can avoid the fee. It wasn’t my main objective, so I didn’t program my GPS to avoid toll roads. I’d simply use the cash option whenever possible. I had some early success with the first couple of tolls. We even dug up a couple of quarters for a toll ($.75) that required exact change. Then I paid a couple more tolls at the manned booths. We were doing well until we had to pass one of those cashless tolls that hanged overhead. It was game over at that point. Resigned, I flipped open the e-toll to take care of that toll, knowing full well I’m going to get hit with an administrative charge. I used the e-toll for everything else afterwards. I received my toll receipt a couple of days after my rental period. It really shows how ridiculous the administrative fee is — the fee itself is more than 3x the cost of the actual toll incurred. Pay the toll with cash. Bring quarters for those unmanned tolls requiring exact change. Bring your own electronic toll device. I did; it didn’t work with SunPass. Set your GPS to avoid cashless toll roads. Rent from a company that doesn’t charge an administrative fee. As far as I know, Silvercar is only one I am aware of that does not charge a toll administrative fee, though the company rental locations are fairly limited. Two other major rental companies (Alamo/National) has their toll policies. Their “Rent a Transponder” option is similar to Avis. They also offered a “TollPass service” where they charge you “$3.95 for the rental period” for tolls incurred on a cashless bridge or tunnel. At least the company offered an an alternative pricing option for the “cashless” roads. I actually don’t mind paying an administrative for those days when I actually use the transponder. But, for an entire rental period, even on days I don’t use it? That really seemed excessive. I haven’t rented from Alamo and National often enough to really comment on those rental companies, but that might shift. At least their “TollPass” policy seemed a little more reasonable than Avis’ blanket policy. Have you been charged any crazy administrative fees for tolls? 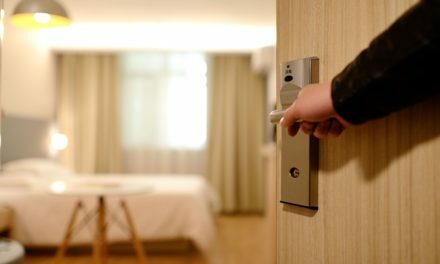 Do You Have Certain Habits When You Check Into a Hotel Room? Furthering the ripoff is that if you pass through a system that say has a $4 telectronic toll and a $5 video toll, some rental car companies charge you the video rate even though they’re paying electronic. Research in advance and get your own transponder and/or platepass account.